New York Attorney General Eric Schneiderman has prevailed against the second largest bank of Switzerland Credit Suisse’s motion to dismiss the Attorney General’s $10 billion lawsuit against the bank for fraud concerning the sales of mortgage-backed securities prior to the 2008 financial crisis. This suit was filed back in 2012 as a result of allegations that the bank misrepresented to investors the downside risks of mortgage-backed securities which the bank was hawking prior to the financial collapse. You may remember this basic narrative, as nearly every major bank has been ensnared in the exact same scheme. This is not the first success story from New York concerning punishing the bad acts of big banks. New York participated in the Federal action resulting in JPMorgan Chase & Co. paying a $13 billion settlement to resolve nearly identical claims. Similarly, New York participated in the action leading to a $7 billion sanction against Citigroup for similar misdeeds. Likewise, Schneiderman was instrumental in assisting to obtain the historic $17 billion Bank of America settlement predicated again on misleading investors. 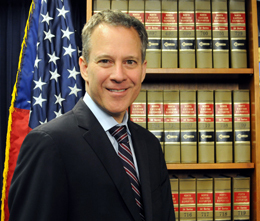 Schneiderman was able to achieve this outcome and prior wins wielding New York’s expansive anti-fraud statute known as the Martin Act, a law empowering New York’s Attorney General to police Wall Street’s misdeeds. More states should consider the utility of bringing accountability to the fraudulent practices of large players in global finance, an increasingly recurrent theme of late, by enacting similar state laws.